School/Warning Signals | General Highway Products, Inc.
General Highway Products offers a variety of options for school signals and warning signals. The signals, radar signs, and LED blank signs can be used by cities and towns, neighborhoods, school zones, work zones, parks, daycare areas, churches, or anywhere for directing or warning traffic. The safety of our children before and after school is a high priority. We have school signals for on campus and off campus to keep pedestrian and vehicle traffic safe for everyone. From flasher cabinets, pedestrian crossing to controlling signs with pre-set date and times to accommodate school calendars and specific traffic patterns. We have signals that are easy to use and effective in slowing down traffic and keeping school zones safe. 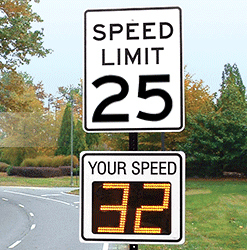 Radar speed signs are traffic calming devices that slow speeders down by alerting them of their speed. General Highway Products offers radar speed signs that are attractive, easy to operate, constructed with a rugged design for long life, and were designed with safety features that allow easy operation while effectively slowing traffic down and making roads safer…and at an affordable price. LED blank out signs are used to alert motorists of traffic changes or to communicate traffic pattern changes. 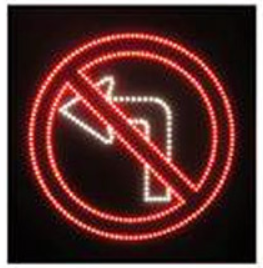 The LED control signs can be programmed to illuminate and disappear when activated and deactivated. The LED signs can display the messages that flash, sequence or can be operated by an external device.